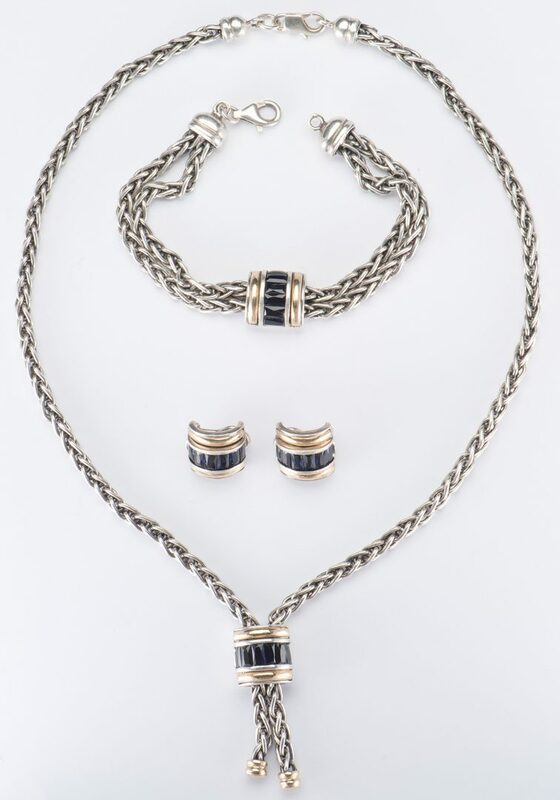 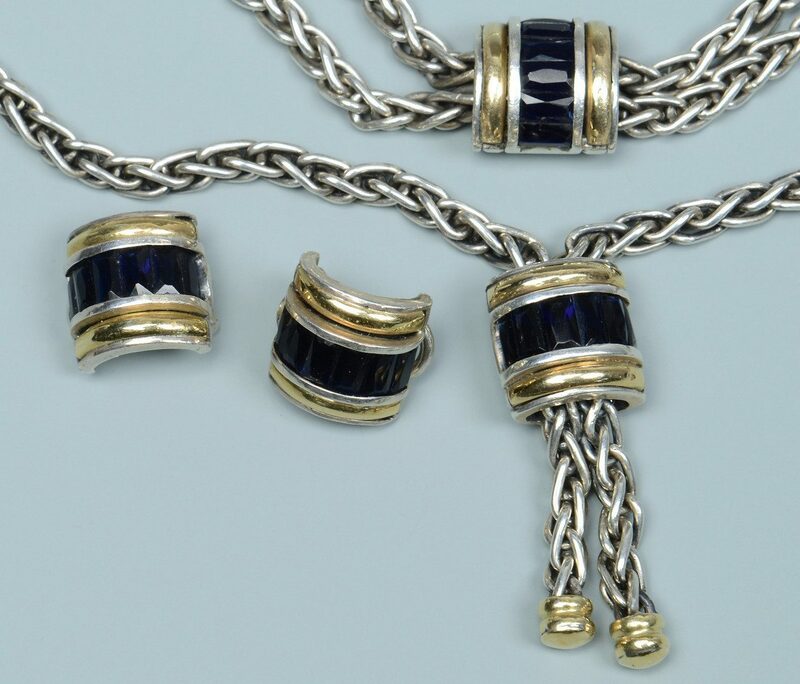 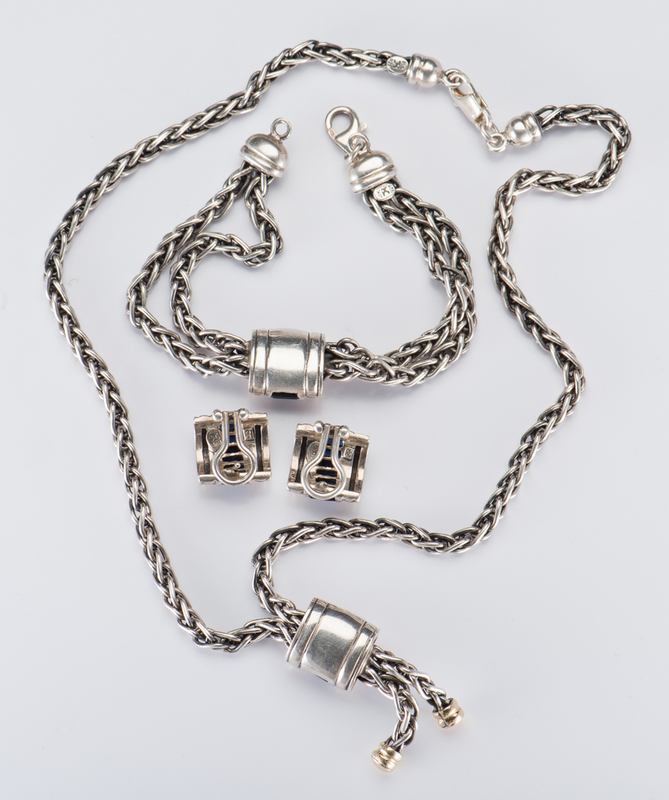 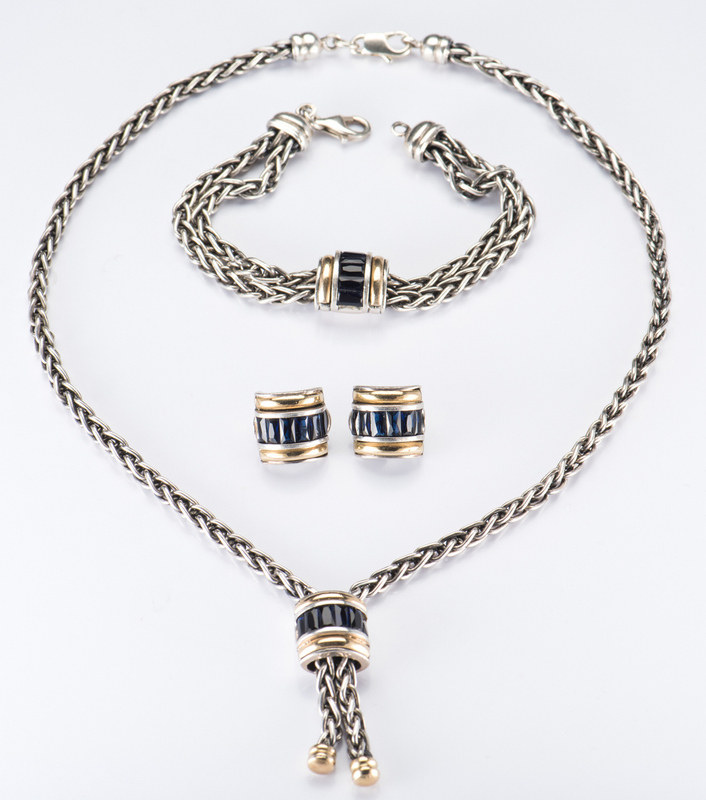 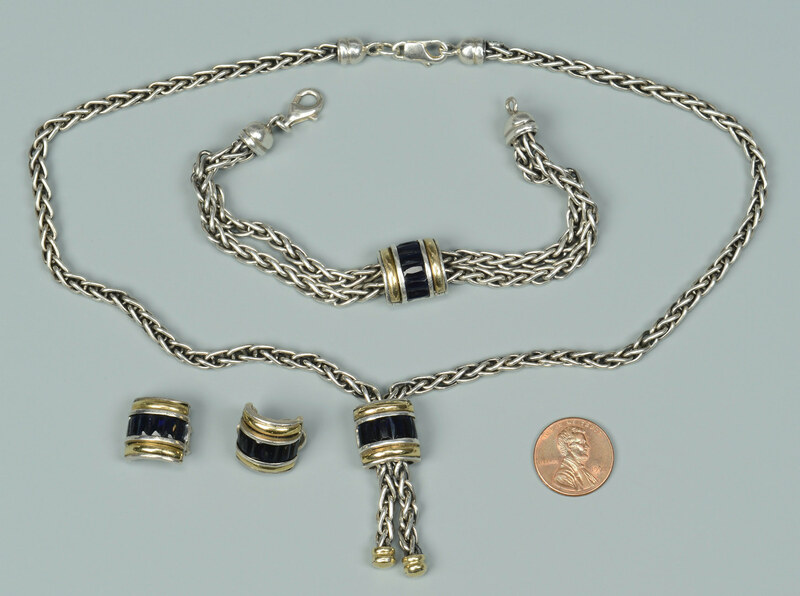 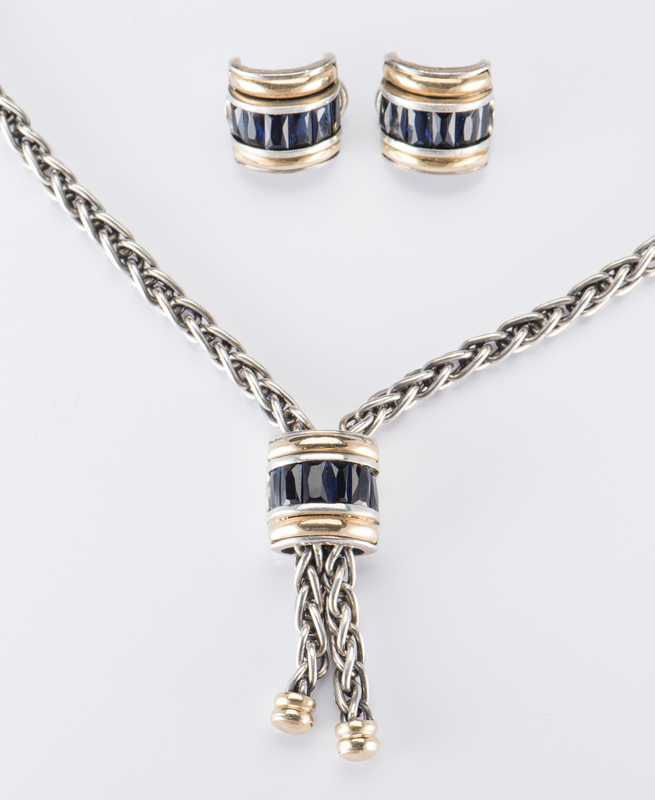 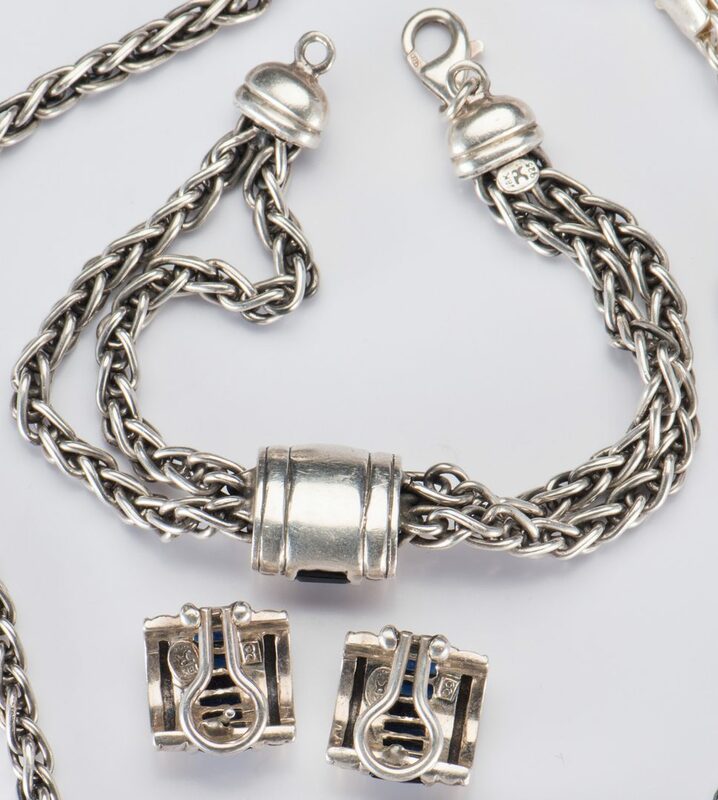 Three piece set of John Hardy ladies sterling and 18K jewelry including a lariat style necklace with deep blue stones (10" L), double link bracelet with deep blue stones (7 1/2" L) and companion earrings with post and French clip backs. 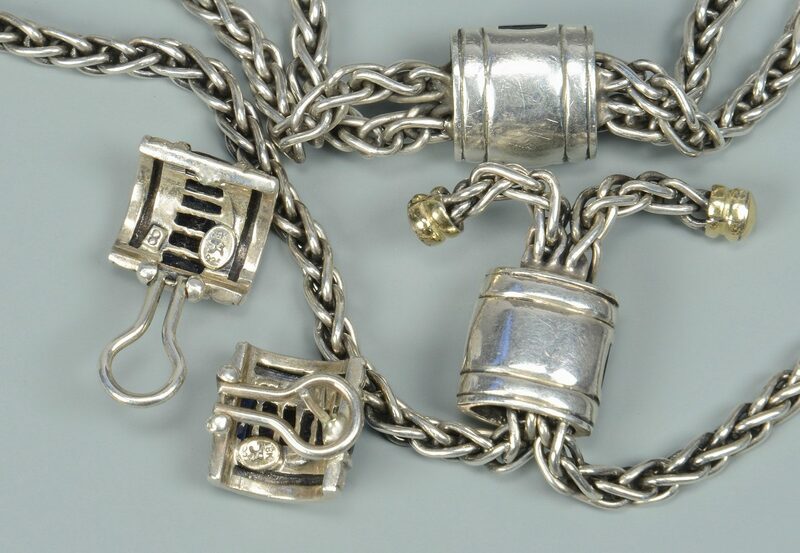 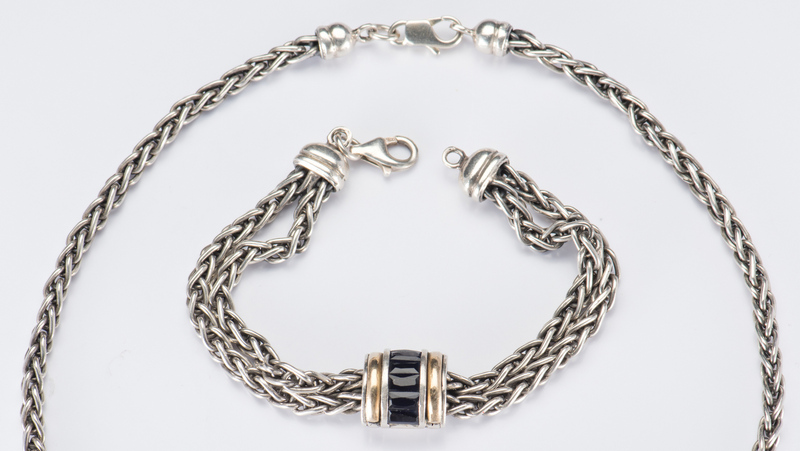 All pieces marked with John Hardy monogram, 18K and .925. 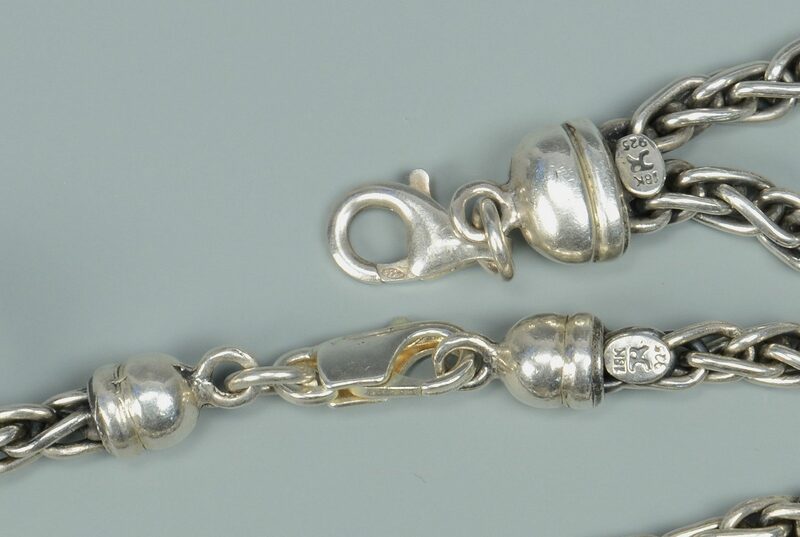 CONDITION: Post on one earring missing.